Looks like Hanau pseudo marks, late 19th or early 20th century. Definitively Hanau.The only swan mark I recall was used by Johann S Kurz & Co but their swan is usually with initials.On the other hand, they were in business for 100 years, probably the mark had significant variations. Topic: European brooch hallmark help? Re: European brooch hallmark help? Sharp anchor and shape of the mark could be Birmingham 1887, no duty mark, no maker^s mark. Yes, the hook is puzzling in regard of chatelaine. I recall a forum member from Denmark (I think) asked about the function of similar item and then explained it was for embroidery girls worked on and kept them on hook attached to the belt whenever they needed to go around. Topic: Medieval Silver Folding Spoon? Re: Medieval Silver Folding Spoon? Lion with sabre with single line around was used 1967-1979 for silver purity .840, double line around lion for .900. This is the mark of Barakoosh workshops in Isfahan during the reign of the last Shah. 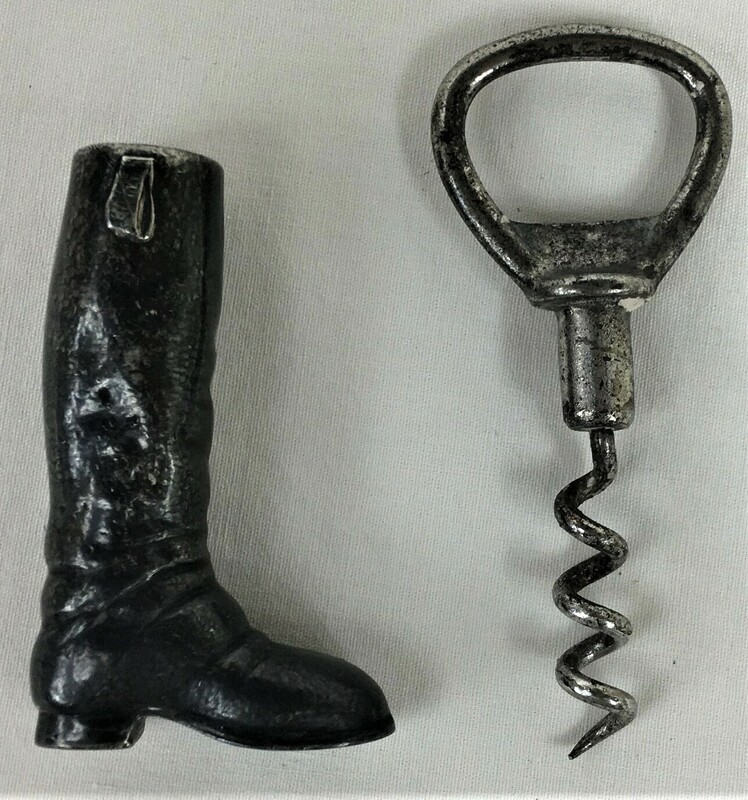 Topic: Blackinton boot but not a corkscrew. No idea what it is! The mark on the left looks looks like the coat of arms of Madrid (a bear and a tree). Date letter in Gothic is certainly within the range of second half to late 19th century sequence of date letters. Maker's mark VK for J.M. 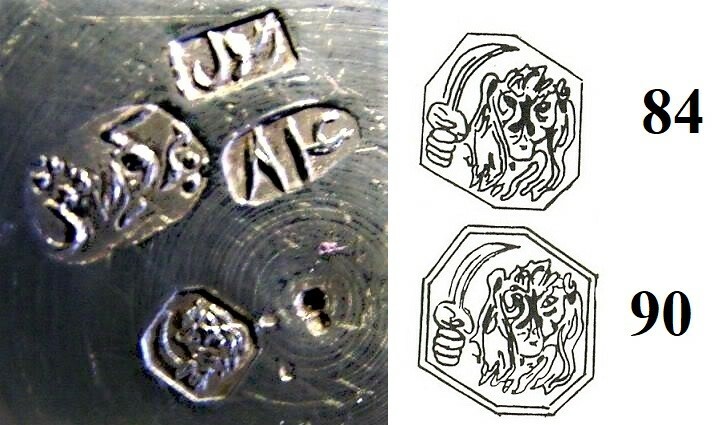 Van Kempen & Son.Mark for big articles: Passant lion and number 2 (silver fineness .833) in hexagon,the Minerva head is the duty mark. Letter (cannot decipher) is date mark. Topic: Who is the maker and what was it for? Re: Who is the maker and what was it for? Topic: Can anyone ID the maker of older ornate 835 Silver Bracelet? Re: Can anyone ID the maker of older ornate 835 Silver Bracelet? At that dimensions it is a snuff box. If low content silver,then obviously not correlated to old Russian 84 standard (.875) and not legislated.